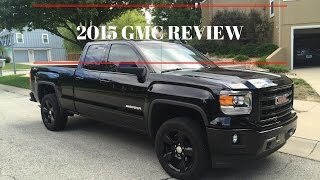 GMC held a gleaming history with its sport trucks like Syclone and Typhoon but after a break it looks like that with the release of all new GMC Sierra Elevation Edition 2015 company is looking ahead for a reentry in segment. Let us have a closer look to how the GMC guys have planned their reentry model and what new they have inside for their customers. Interior of GMC Sierra Elevation Edition 2015 holds countable features and rest is just the bone stock. Its extra features include Bluetooth phone connectivity, 4.2 inch Intellilink color touch screen audio system and Wi-Fi hotspot supporting connectivity for up to seven devices provided by OnStar with 4G LTE Connectivity in the entertainment segment while others in the segment include 110 Volt AC power outlet, Power mirrors, LED Cargo box lightning and remote keyless entry. These all features are loaded inside with standard model. 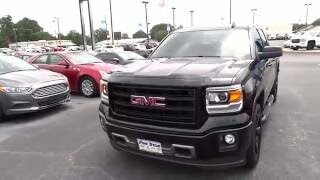 Being loyal enough apart from these there isn’t anything to grasp your attention as such in the interior of GMC Sierra Elevation Edition 2015. Exterior of GMC Sierra Elevation Edition 2015 is adored with the GMC Sport truck theme. Entire exterior is painted in semi gloss black color with matching 20” wheels. Front fascia is captivated by black grille with headlight and indicator housed together being the only section you won’t find matching with body color. Apart from Headlights and taillamps rest all comes in black including bumpers, mirror caps, door handles. 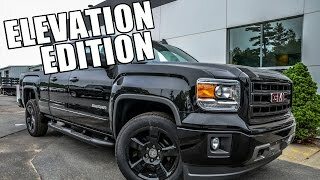 However one thing that gathered our attention was the elevation GMC Sierra Elevation Edition received through front and rear bumpers giving the model a monochromatic appearance. 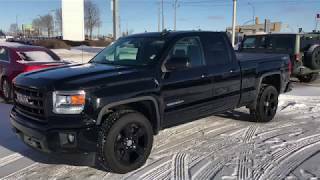 In all for the exterior of GMC Sierra Elevation Edition 2015 we would say the intense work of black to an extent attracts attention but company could have added some more to its exterior being a reentry model. 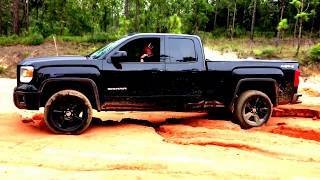 Here is something which might interest you, in the performance segment of GMC Sierra Elevation Edition 2015. GMC Sierra Elevation Edition gets its power through a 4.3 Liter V6 engine that cranks 285 hp and 413 nm torque mated to six-speed automatic transmission. However if you are looking for more power GMC provides you an option to go with 5.3 Liter V8 engine that cranks 355 hp and 520 nm torque.